Lake Malawi is approximately 575km long and up to 80km wide. It forms part of the Great Rift Valley with steep and precipitous slopes in places. It is the third largest lake in Africa and amongst the twelve largest lakes in the world. The deepest part of the lake, at the northern end, is 213 metres below sea level or 701 metres deep. The lake surface covers an area of nearly 23,000 square kilometres, which is approximately 20% of the total area of the Republic of Malawi. Ships have been operated on Lake Malawi by Malawi Railways since 1931 and vessels have been able to connect with the rail system at Chipoka since 1935. However, because of the exposed nature of the lake shore at Chipoka the headquarters of the Lake Service were developed at Monkey Bay, the nearest sheltered bay about 45 kilometres almost due east of Chipoka. 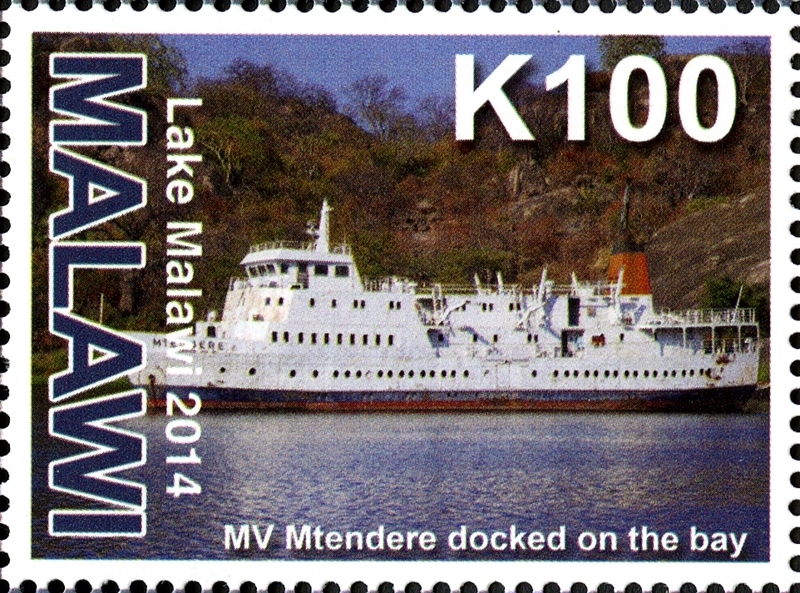 Built in 1935, the first modern ship to operate commercially on Lake Malawi was the MV MPASA. At that time the facilities at Chipoka were very scant and there were no services at any of the ports of call. The complete redevelopment of Chipoka was completed in 1979 whilst proper harbour installations were first provided at Chilumba in the northern region in 1973. Improvements have also been made at Monkey Bay including in 1975 the provision of a slipway. 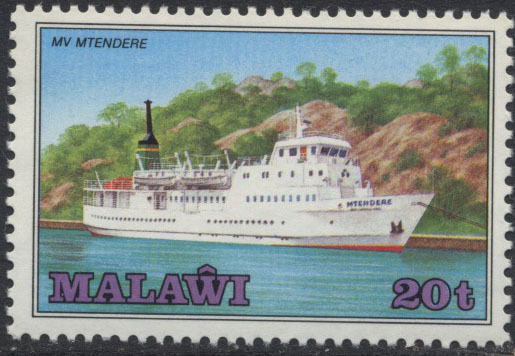 The MV MTENDERE entered service in October 1980, she was the first vessel to provide seating accommodation for all passengers. In her first full year of service she carried 70,000 passengers but two years later this had increased to nearly 100,000. The vessel operates a weekly schedule serving the major ports and many smaller ones; she also serves the islands of Likoma and Chizuniulu. Built in sections as a ferry under yard No 1415 by Schlichting Werft, Travemünde, Germany for the Malawi Railways Ltd. The ship was paid by the German Government as aid to the Malawian Government. The sections arrived at Lake Malawi on 25 July 1980 were the sections again were fitted together. 03 October 1980 completed as the MTENDERE. Two diesel engines each 498 hp, speed 11.5 knots. Malawi 2014 K100 sg?, scott?